The Polymer paper-drawer panel is a drawer panel which is used to slide in/out to hide/reveal the main panel. By default its position is the left side of the main panel. The drawer will be stacked on top of the main panel in the narrow layout. 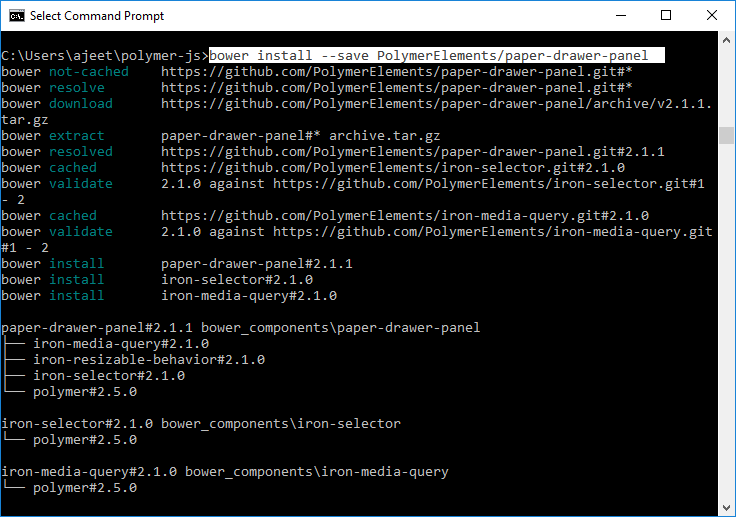 Open your command prompt and use the following command to get the paper-drawer panel in your directory. Create an index.html file and add the following code in it to see the use of paper-drawer-panel element in Polymer.js.